BU’s 2017 recruit class has been completed with the addition of goalie Drew Hotte from the NAHL Johnstown Tomahawks. 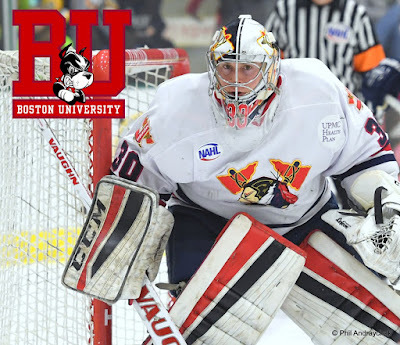 The 6’1” native of Ambler, Pennsylvania recorded a 2.43 goals against average and a .913 save percentage in 38 regular season games (and 2.00/.924 in three playoff games). Hotte set a team record for most wins by a netminder with 24. Last December his 5-0 record earned NAHL Goalie of the Month honors. Hotte spent three seasons at Milton Academy (Milton, Massachusetts) and then most of last season in the USHL with Waterloo—as a teammate of classmate Shane Bowers—and Madison. His numbers at Waterloo were 3.12 GAA and .889 save percentage. With Hotte’s commitment, BU’s 2017 class is now complete with 10 freshmen—six forwards, three defensemen and one goalie. In addition, former RPI skater Drew Melanson comes aboard as a graduate transfer. 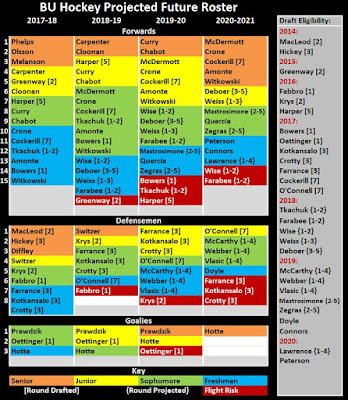 ►@BurntBoats has updated the chart of Projected Future Terrier Rosters. 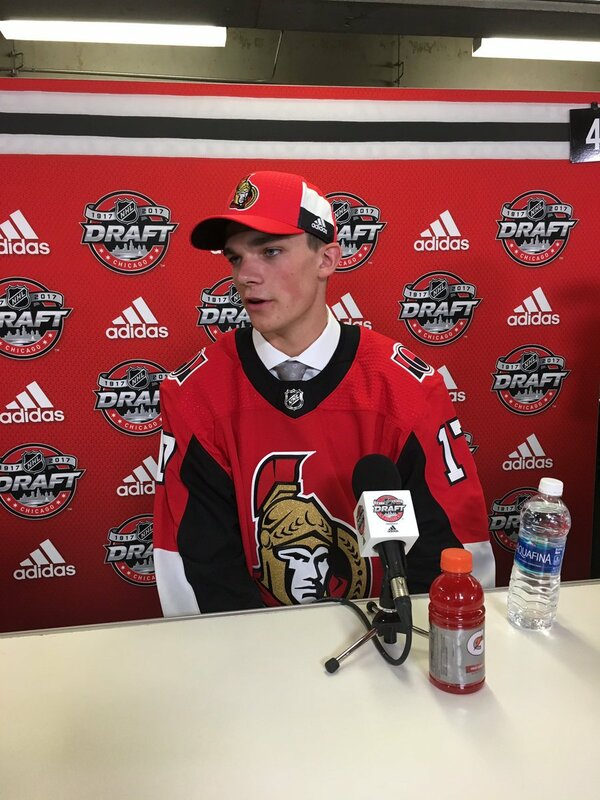 ►Freshman Logan Cockerill talked with The Press & Argus about being drafted in the seventh round by the Islanders and looked ahead to playing at BU. College Hockey Inc has a running list of college players and recruits attending NHL development camps. Nashville draftees Dante Fabbro, Patrick Harper and David Farrance have been joined at Predators’ camp by incoming freshman Hank Crone. Bobo Carpenter and Sean Maguire are at Penguins’ camp. Five Terriers earned places on the Hockey East 2016-17 All Academic Team: Gabe Chabot, Nikolas Olsson, Shane Switzer, Connor LaCouvee and Tommy Kelley. With NHL free agency set to begin on Saturday, a pair of teammates from BU’s 2009 national championship team, Nick Bonino and Kevin Shattenkirk, are reported to be in high demand. Bonino won the Stanley Cup with Pittsburgh the past two seasons. 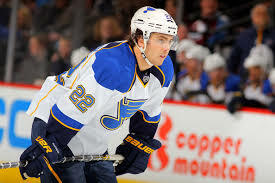 Shattenkirk, who was traded to Washington late last season, has reportedly been targeted by teams including Boston, New Jersey, Buffalo and Tampa Bay. Former BU goalie Matt O’Connor, who did not receive a qualifying offer from Ottawa, is reported to have signed on with Nashville. Fourteen Terriers have earned places on the Hockey East All-Academic Team, led by Victoria Hanson. The senior goalie was named a Distinguished Scholar for achieving All-Academic team status all four years. 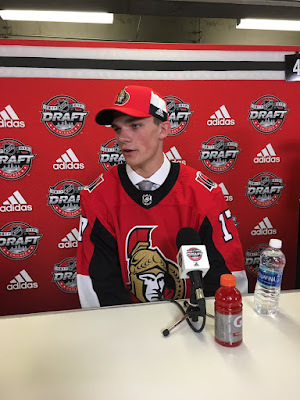 Shane Bowers, the Ottawa Senators' top pick in last weekend's NHL Entry Draft, talked about his selection and meeting Jake Oettinger in Chicago. 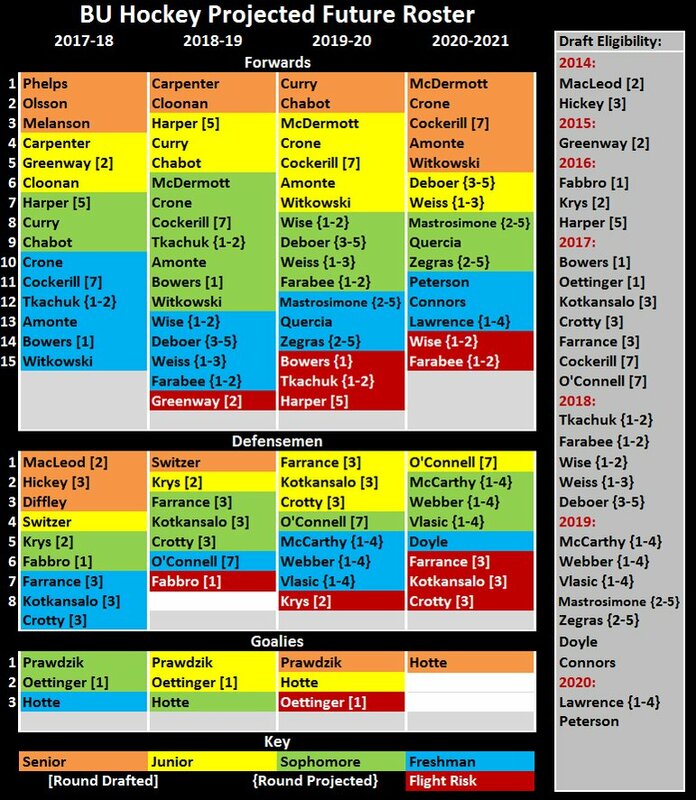 SBN’s Chris Dilks’s took an early look at the 2018 draft and ranks Brady Tkachuk and Joel Farabee in the top 10, and Tyler Weiss and Jake Wise in the next 18. 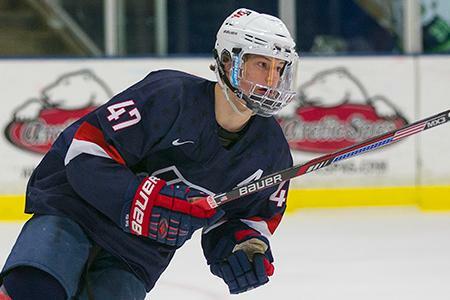 Farabee and Weiss were the top two scorers for the NTDP U17s while Wise was tied for fourth. Farabee added 19 points (8G, 11A) when called up to the U18s. Jeff Cox's recap of top performers at last weekend's Beantown NAPS event included future Terriers. Liam Connors, #5 Junior Bruins, 2/1/01, Forward, Shoots Right (Boston University) - His motor and speed are his top assets, but he showed off his hands on a few scoring plays as well. He's a Tri-City Storm draft pick from the 2017 USHL Phase I Draft. He'll be back at St. Sebastian's this winter. Josh Lawrence, #17 East Coast Canadians, 1/28/02, Forward, Shoots Right (Boston University) - He's just heads and shoulders above everyone else at this level. He can skate, he can pass, he can shoot and he can control pucks. If he's really committed to the NCAA route, he should easily be the top pick (or a tender) in the 2018 USHL Phase I Draft. He'll be back for a second year at Selects Academy this winter. East Coast Canadians win Beantown NAPS 15U. BU commit Josh Lawrence was clear standout. D Christian Jimenez was best uncommitted prospect. Lawrence is a 2020 BU recruit from Moncton, New Brunswick. He committed this past May 23. Former Terrier Associate Head Coach Steve Greeley has been named assistant general manager of the Buffalo Sabres. Working with new head coach Jason Botterill, he'll be reunited in Buffalo with Jack Eichel and Evan Rodrigues. Greeley spent the past two seasons as director of player development for the New York Rangers. 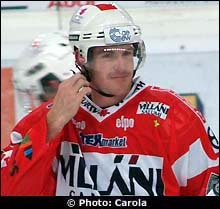 After skating for the Terriers from 1999 to 2004 and playing one season in the minor leagues, Greeley became a Los Angeles Kings scout. He joined David Quinn's staff in 2013 as associate head coach and left for the Rangers job after BU reached the 2015 national championship game. Wade Megan has been re-signed by the Blues to a one-year, two-way contract. The final captain of Jack Parker's 40 seasons, Megan, playing for the Chicago Wolves, was a first team AHL All-Star and earned the league’s Willie Marshall Award for most goals (33). He made his NHL debut against Tampa Bay on Dec. 22 and scored on his first shot. Two-time BU All-American defenseman Jon Coleman has been elevated to full-time assistant coach at D3 Babson College. A high-scoring defenseman on the Terriers’ 1995 national championship squad, Coleman had 113 points and played on four Frozen Four squads. Five more Terriers—incoming and recruited—selected on Day 2. The second day of the NHL’s Entry Draft proved another successful one for BU as three incoming defensemen were selected in the third round and one incoming forward and a 2018 blueliner heard their names called in the seventh round. Finnish defenseman Kasper Kotkansalo, who played for Sioux Falls last season and won gold in the World Junior Championships, was selected by Detroit at #71. 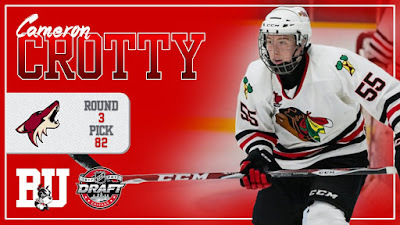 Eleven picks later (#82) Arizona grabbed Cameron Crotty, the Brockville Braves defenseman voted the CCHL’s top prospect. 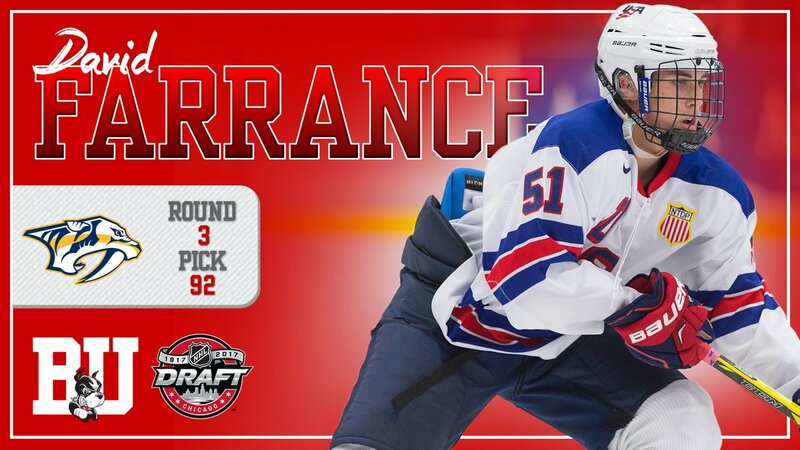 NTDP U18 defenseman David Farrance went to Nashville at #92, joining sophomores Dante Fabbro and Patrick Harper as Predator draft picks. Logan Cockerill, one of three BU freshmen, along with Farrance and Brady Tkachuk, who won gold in the World U18 Championship, was selected by the Islanders at #201. Two slots later, 2018 recruit Ryan O’Connell, a defenseman who will play in the BCHL for Penticton next season, was drafted by Toronto. 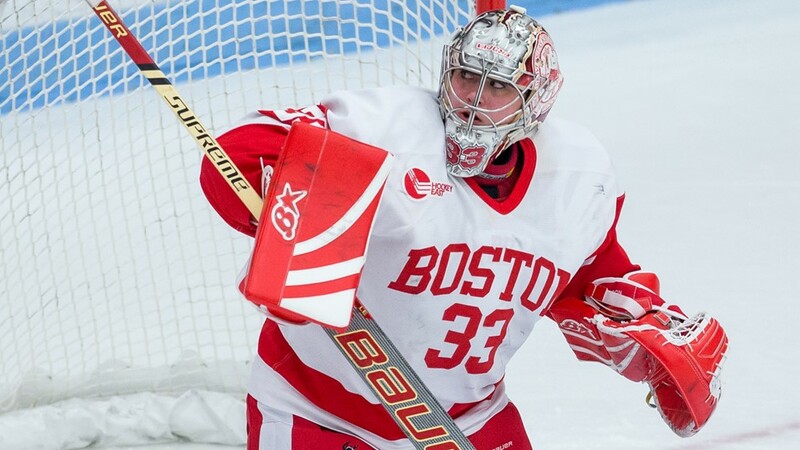 ► Of the sixty current and future NCAA players selected, seven are—or will be—Terriers.